More and more precast and cast-in-place concrete construction projects are being realized using Tekla Structures as the design tool. 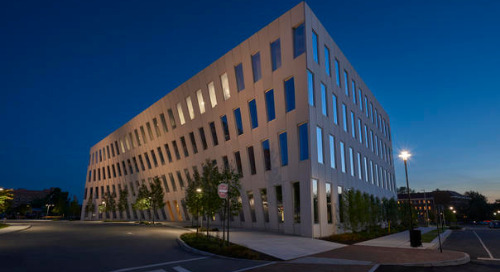 One of Tekla’s long-term customers in Germany, engineering office Oltmanns und Partner GmbH of Oldenburg, has planned another project that combines ambitious architecture with functionality. Oltmanns und Partner was founded in 1973 and is now a company rich in tradition. 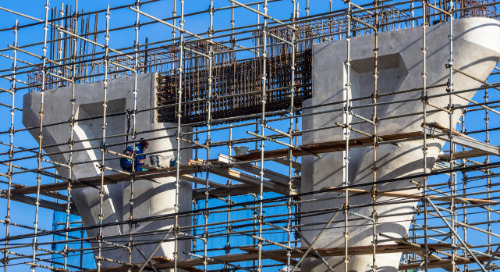 As a complete service provider, they offer services for support structure planning (statics), formwork and reinforcement planning, and solid construction. The latter also includes planning services from the fields of heating, ventilation and sanitation through to the integration of external resources. According to the CEO of Oltmanns, this networked planning leads to close integration of the design fields. In other words, “everything fits!” This is due, in no small part, to the data compatibility of Tekla Structures software. Use of Tekla allows data to be exchanged throughout the planning process without restriction and makes it possible to computer-control the entire process from the first stroke of the pen to the handover of the building. 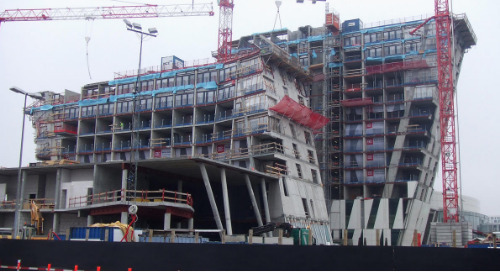 The construction of a complex apartment and office building named 8-tallet in Copenhagen, Denmark, is to be completed by the end of 2010. 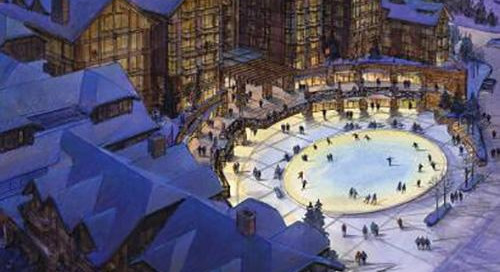 The building will include 500 apartments and various business spaces. Designed by the Copenhagen-based architectural office BIG (Bjarke Ingels Group), the basic shape of a figure eight is easy to recognize. 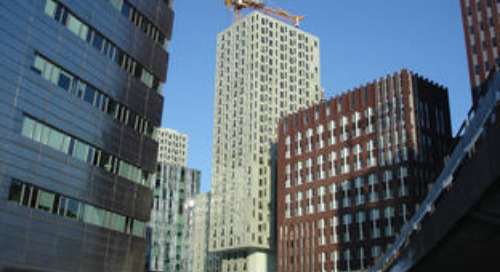 The construction can be described a multistory building with staggered floors. The number of floors and their height constantly change throughout the building. This results in a demanding structure with many inclined elements. 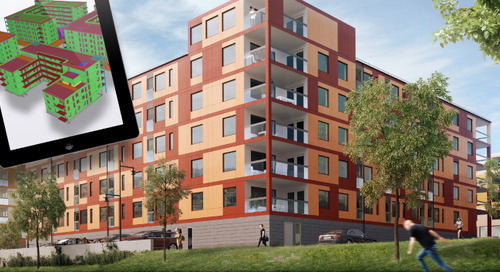 8-tallet’s architectural design was converted into a 3D Tekla structural model. 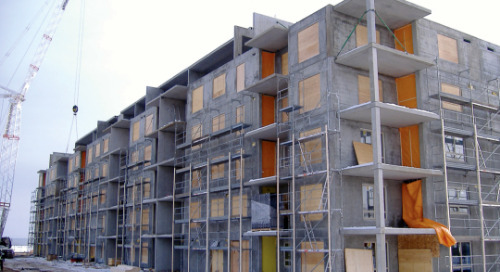 Model-based cooperation between Oltmanns and several companies in Denmark worked fine: statics were provided by M & B Engineers, the basement level was planned and built as a complete, prefabricated part by DS Elcobyg A/S, the reinforcement was calculated by Voss Sörensen & Partner ApS, and last but not least, the design of the ceiling elements was completed by the Danish Tekla customer SPAENCOM using Tekla Structures. 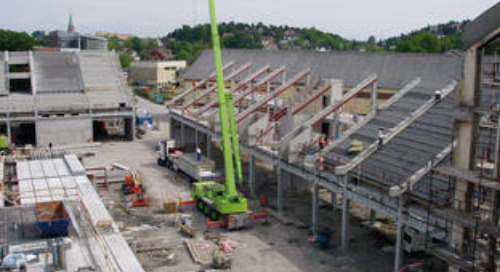 The high degree of connectivity of Tekla Structures – the ability to transfer data to and from third-party software without errors – was what made it possible for individual sections of this large-scale construction to be divided up and worked on by various companies in neighboring Denmark. 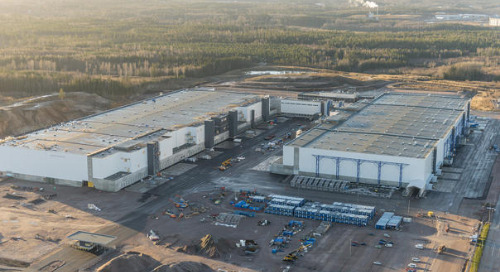 All other parts of the building that were not mentioned explicitly were planned by Oltmanns with Tekla Structures. The varied floor height can be easily seen in the structural model. The colors red, green and blue indicate different wall thicknesses. For some of the protruding corner constructions, steel girders were used as supports for the ceiling elements for static reasons. Tekla Structures provides intelligent system components for the majority of approaches. These can be components, entire subassemblies or even connection macros. Here, intelligent means that all associated parts will be adapted to the new conditions if a single component is modified. This is true even for components that are already reinforced. Even though the number of available system components is large and these components offer solutions for almost all standard problems, occasionally, a special situation arises for which there are no intelligent system components. The solution is a component editor integrated in Tekla Structures. It allows users to quickly develop user-defined components. No programming knowledge is required; everything takes place graphically and with the help of tables. 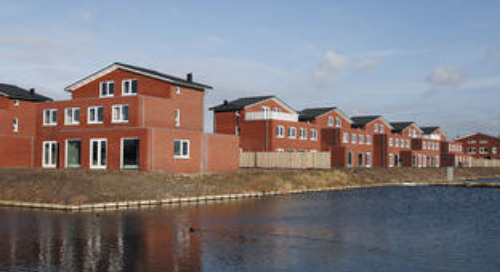 This option was used in the 8-tallet project as well. The semigirder marked in yellow was used many times, especially on the ground floor. The same is true for the wall junction and the semigirder reinforcement. Intelligent components need to be created only once and can then be placed at correct locations in the model with a single mouse click, over and over. 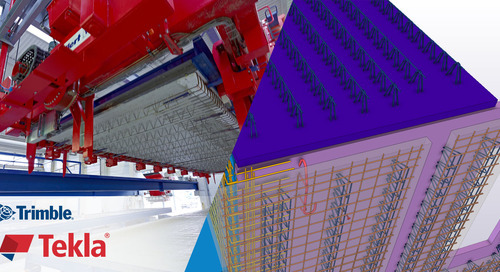 Tekla Structures includes a large number of tools for construction with cast-in-place concrete and precast units, including framework and reinforcement planning. The reinforcement macros (reinforced wall elements with a doorway and a cantilever) in particular were used frequently in the 8-tallet project. 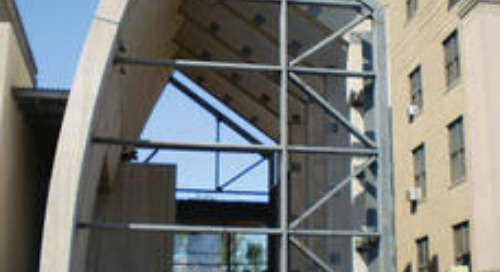 In addition to the mesh reinforcement in the wall, there is extra reinforcement in the form of steel bars, as well as a stirrup reinforcement around the openings. Of course, the proper reinforcement in the model must be depicted in the drawings in accordance with applicable standards. 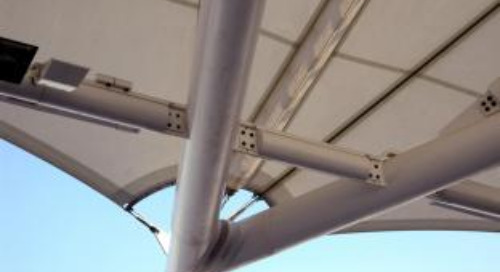 Here, too, Tekla Structures offers a wide variety of design options. An up-to-date construction planning software includes the ability to generate data for controlling common CNC machines. Tekla Structures leaves no wish unfulfilled in this regard. Control data for bending and placement machines is provided via the integrated UNITECHNIK interface. All this makes it possible for construction to run according to schedule and plan, and not just the preparation processes. 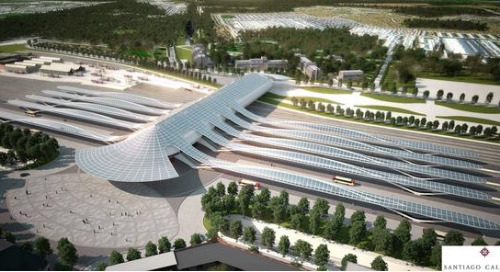 Here, this means that the first plans were ready in December 2008. In total, around 4000 plans were produced. By September 2009 the planning has been completely finished. 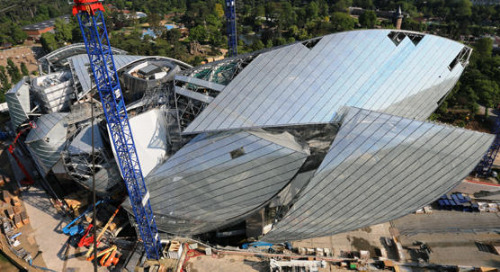 The shell will be finished by the end of 2009; the completion of the construction is set for the end of 2010. 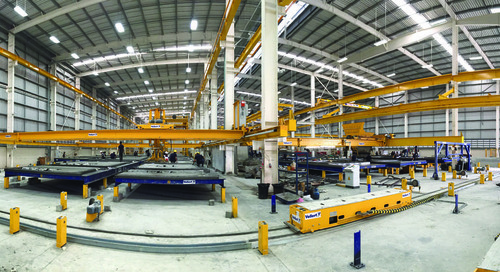 CPanel Company Limited is one of the largest precast concrete manufacturers in Thailand. Now, with Tekla, CPanel is leapfrogging its competition in the precast concrete industry. 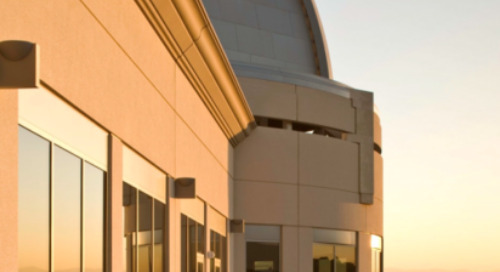 The project was relatively detailed and complex. We needed to erect new elements between existing ones. 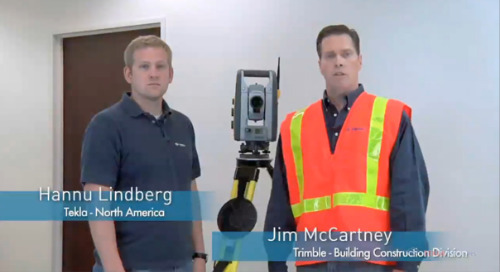 The 3D model was our main reference point, enabling us total control over the entire project.